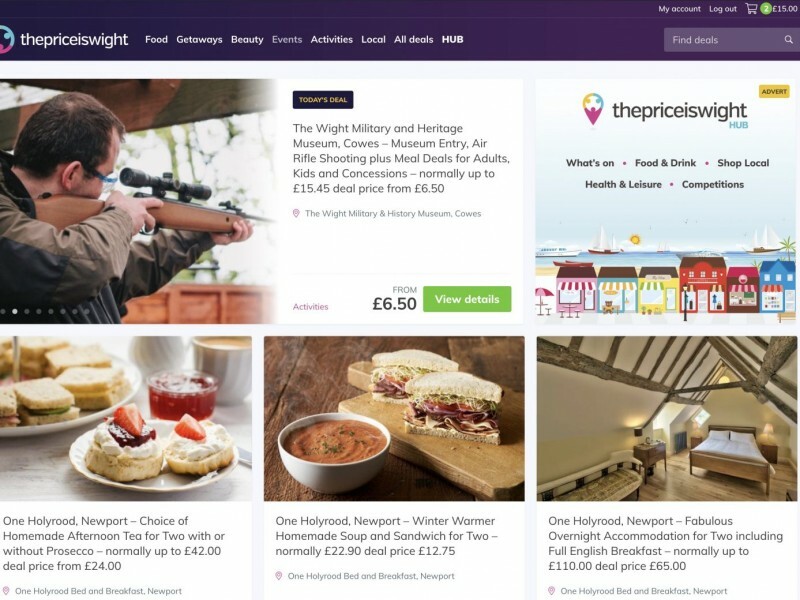 The Price Is Wight aims to offer you unbeatable deals on the best things to do, see, visit, eat and buy on the Isle of Wight & beyond – while helping boost local Island businesses. Each day we will feature fantastic money-saving deals at top-rated restaurants, events, lessons, tours, spas, salons, retail shops, and much more. We find the best experiences and offer them to you at a fabulous price – discounted by up to a massive 90%. We also offer amazing deals from off-Island businesses if we are unable to source similar here. The best deals right in your inbox. You will receive seven emails from us per week. 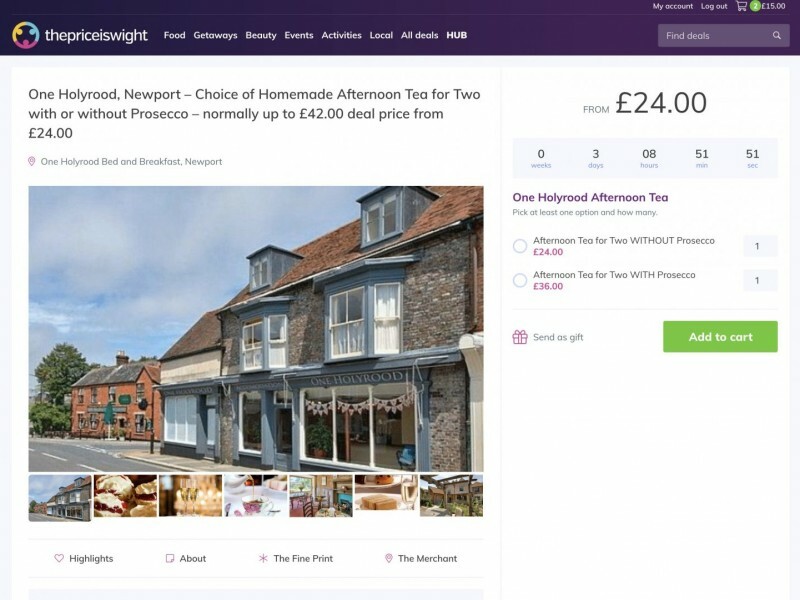 Saturday morning will have a round up of the weekly deals and local adverts providing an information service about fabulous businesses we have on the Island that we can’t necessarily do deals with. You simply snap up the deal of the day by clicking on the ‘Add To Cart’ button. A printable voucher is sent to you via email, which can be redeemed at your chosen spot. We use Paypal and Stripe as secure payment options. Please note you do not need to have an account with them, you can simply use your card details. Please note you must click through to deal to get full pricing and deal details. Prices featured on front pages are based on highest normal price and lowest deal price. Apart from the usual social media sites, The Price Is Wight also relies on you telling your friends about us, so make sure you pass it on – and try something new today!